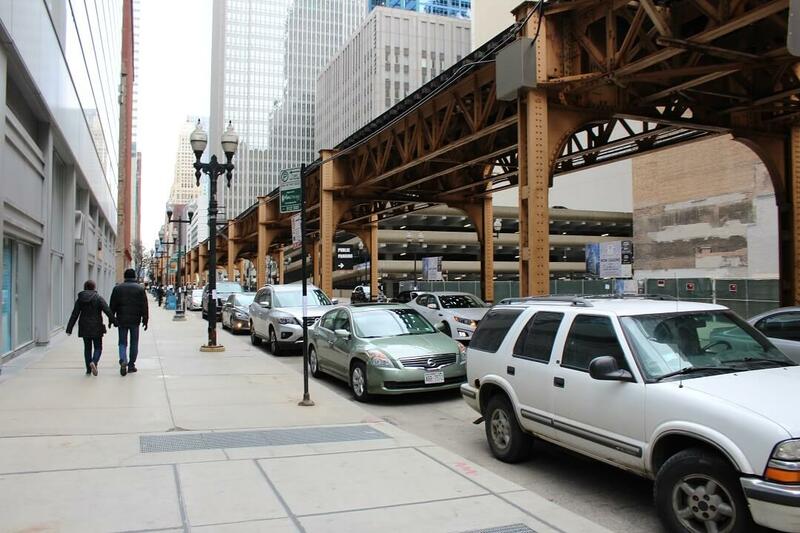 If you want to travel throughout the United States of America by train, Chicago will be your transfer point. Chicago is a wonderful city to explore, with impressive tall buildings and an amazing gothic architecture. Presumably, Chicago is the inspiration for Batman’s Gotham. Stroll through the city, soak in those sights and walk alongside Lake Michigan. The Chicago Skyline is world-famous, so be sure to look for those tall buildings and walk up all those steps. From Chicago the whole United States opens up for you, with trains in the direction of San Francisco, Los Angeles, New Orleans, Washington and Seattle. In this blog I will tell you about all sights around Chicago and how to travel to the other side of the United States by train. The train station of Chicago, Union Station, is in the middle of all sights of Chicago. Once you step out of the train, and exit the train station, you will be engulfed by the grandeur of the skyscrapers of Chicago. The very first impression is amazing, as you enter downtown via one of the many stunning bridges crossing the water of Lake Michigan. 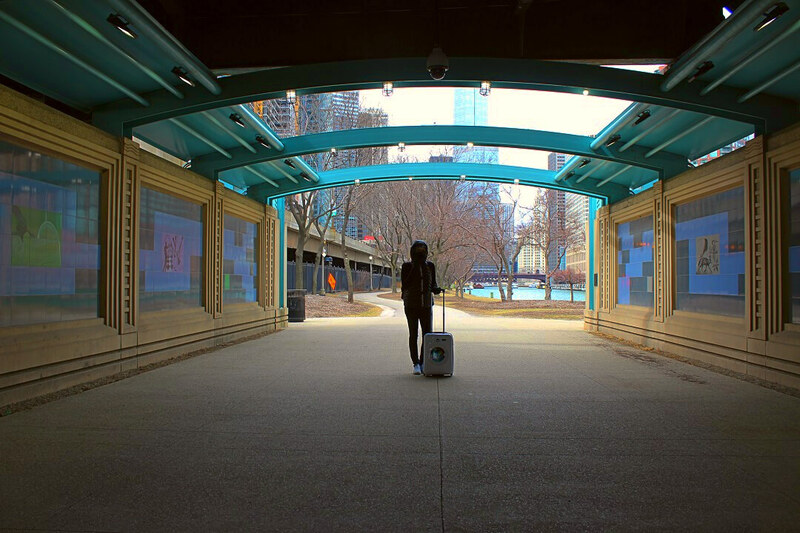 Walk straight towards the Art Institute and be amazed by all sights. You’ll stumble upon amazing achitecture. Such as the construction of a metro line above street-level, or the sight of the impressive Chicago Tribune Tower. 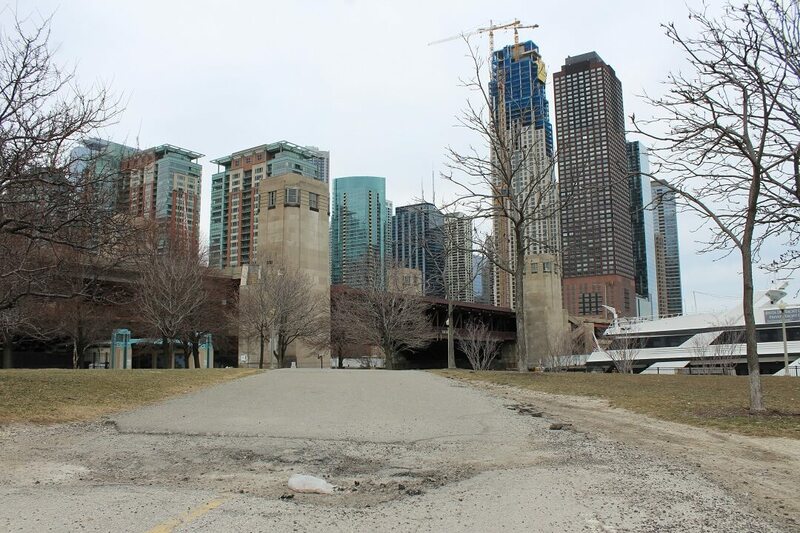 If you walk further you’ll eventually see Lake Michigan, which will lead you to a lovely walking path called ‘The Riverwalk‘. Follow the path all the way until you reach the crossing with views of the impressive Trump Tower. Close to there you’ll find the most amazing Nutella cafe (Ferrero Rocher’s first restaurant in the US) to soak up some energy! 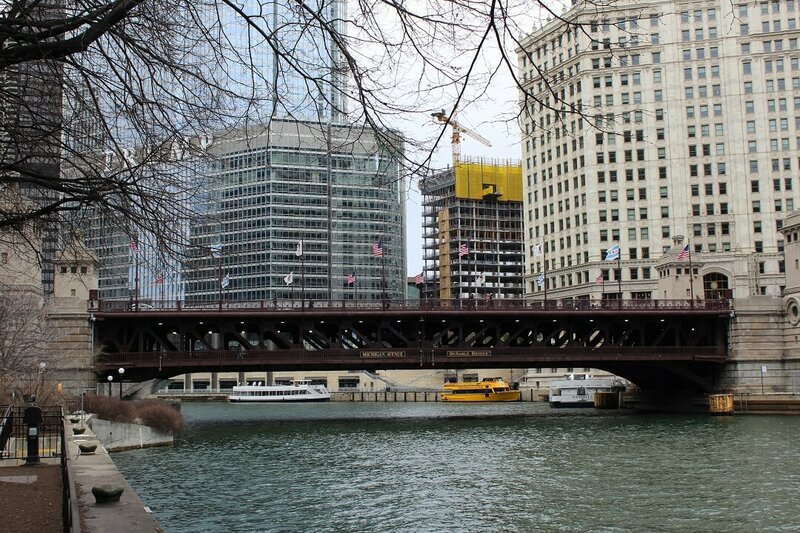 Cross the DuSable Bridge towards the Chicago Tribune Tower and explore the northern part of Chicago. In summary, everything in Chicago is doable on foot! Be sure to dress properly, as it can get quite chilly. If you want to travel to the other side of the United States by train, you’re bound to go via Chicago. 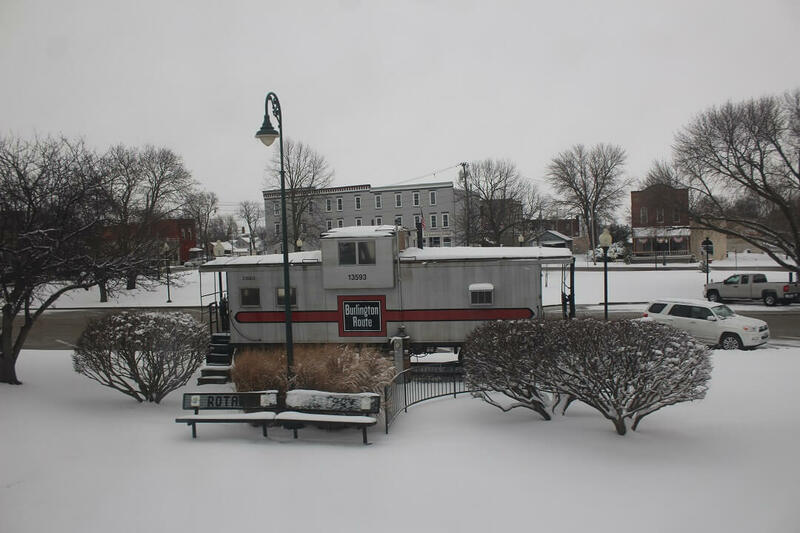 From there all the amazing trains such as the “California Zephyr” and the “Sunset Limited” depart. Fares towards the east coast start at around $150 single trip. Instead of buying single trips, it might be cheaper to look into one of the Amtrak Rail Passes. I took the 3:00 PM “Southwest Chief” from Chicago towards Los Angeles, with an intermediate stop in Kansas City. My second segment of my round-trip journey. Roughly half an hour before the train departs you are allowed to start boarding. Upon entering the train you will be assigned a seat number, which will remain yours during the journey. After everyone has settled in, you may ask for another place if you wish. There was something special on this train, as everyone seemed to be crammed in the same coaches. I did not have a window seat, and it was quite busy, so I decided to walk through the train to see if there were better spots available. Stepping into the next coach, I arrived at a completely deserted setting. There was no-one there! I asked the conductor why it was empty. He replied that this was a very out-dated coach and that people were more conveniently seated in all other coaches. However he did not make any objection for me moving to this coach. I noticed quite some other travelers watching me making my way towards the other coach, while trying to not stumble over all luggage that was scattered around. A family decided to go for it as well, gratefully thanking me for making that move. I found these seats much more convenient! The ride towards Kansas City was extremely relaxing, quiet and I was able to enjoy all those stunning views form the train. Lesson to be learned: always look for better seating alternatives on such a long journey. It will definitely be worth the effort. The other coaches remained completely full, while I enjoyed the quietness and space. Right on time the train departed from Chicago, with various intermediate stops till Kansas City where I would arrive at 10:11 PM the same evening. As mentioned in my first blog, the seats offer an amazing amount of leg space. Furthermore the seats are ‘recliners‘, which can be put in quite a comfortable angle. If you prefer, you can also book sleeping accomodation, but that’s quite expensive! I really enjoyed the amazing views while rushing through stunning landscapes and small towns. The train is really comfortable and also offers breakfast, lunch, dinner and other types of beverages and snacks if you desire. There is only one downside about traveling through the United States by train: delay. The very first train I took, from Washington D.C. to Chicago had a delay of 2 hours and 30 minutes. On this journey I only arrived 50 minutes late in Kansas City, which can be considered as on time. All other journeys that followed after this one were without delay, which is a miracle! But those stories will be for the next blogs.